From the perspective of a dog, being unleashed and stepping paw into an open space where they’re totally free to roam around and be themselves must be something akin to heaven. Actually, from the perspective of a dog, just flat out existing is pretty close to heaven. What a grateful existence it must be to be a dog! Anyway, the canine oasis that is the local dog park is definitely something that you’ll want to get very familiar with as a dog owner. From socializing your pup to letting them roam free to sniff and run around, dog parks are completely essential to your dog’s wellbeing — especially in an urban environment where they’re otherwise restricted. You’re out to live your best life, and your dog only helps increase your quality of life. By that logic, and out of the goodness of your heart, doesn’t your dog also deserve the very best quality of life possible? We think so. At Royal Pets Market & Resort, our veterinary clinic and pet market stores in the St. Petersburg and Tampa areas are here to help make that happen. With the help of our animal hospital and veterinary clinic services, paired with our wide selection of dog beds, dog toys (cat toys, too! ), dog treats, and many more goodies, we’re the go-to stop for cat and dog owners here in Tampa Bay. Visit here to learn more about our Apopka, Palm Harbor, St. Petersburg and Carrollwood locations. 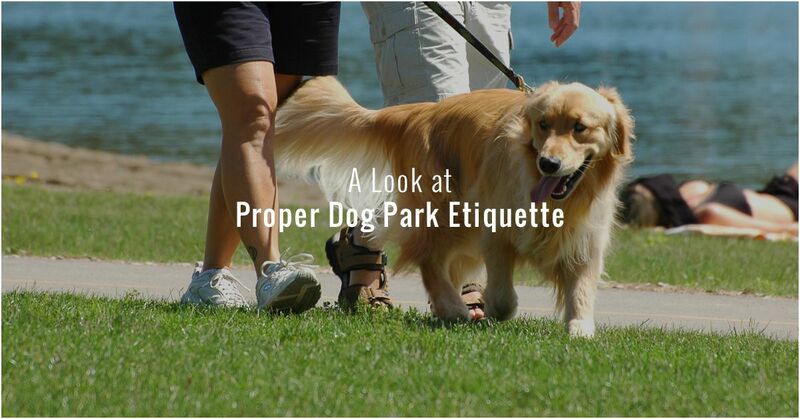 Keep on reading below to learn more about practicing good dog park etiquette with the help of our pet experts here at Royal Pets Market & Resort! First Things First — Is Your Dog Fixed? Regardless of what dog park you’re visiting, it’s important to make sure that your pet is either spayed or neutered. Dogs tend to get...friendly with other dogs, and the last thing that you and the other owner want is an unexpected, and totally avoidable, procreation session. Your little pupper might be excited to get out and explore the big, amazing world outside your home, but keep in mind that they’re young. Would you send your infant out into the world, even if you were right by their side? Of course not. Puppies less than four or even six months old are better kept on leashes out on walks or roaming around the safety of your home. Before you know it (they grow up so fast…), your pup will be old enough to handle the dog park! Please, Pick Up After Your Dog! This one is pretty self-explanatory, and honestly, shouldn’t even have to be mentioned. If your dog decides to relieve themselves, that’s perfectly fine, but make sure that you grab a doggie bag and attend to it very quickly. Leaving your dog’s feces untouched might invite other curious dogs over to eat it (yes, this is gross but it’s worth mentioning), and that could cause a myriad of health complications, not to mention the fact that it’s absolutely disgusting. Plus, if you don’t attend to your dog’s natural functions, a number of dog owners in the area can and will immediately judge you. Oh, the shame! Your dog is free to roam about as they please, but don’t let them roam about without close supervision. Who knows what could happen when your dog is running around? They may get into a tuff with another dog, or even get “friendly.” Even if your dog has a gentle, friendly temperament at home, there’s no telling what they’ll behave like around a plethora of other dogs. For the sake of your dog and other people’s dogs, be a vigilant dog owner and don’t let your pup get lost in a sea of canines. Facts are facts and life is life. You’re being way too optimistic if you think that you’ll be taking your dog’s favorite tennis ball back home, or at least, the same tennis ball. Fortunately, your dog is a dog — every tennis ball is their favorite tennis ball! When you have a watchful eye on your dog (this typically includes following them around the dog park by walking near them), you’ll be able to intervene at a moment’s notice. Of course, other dog owners should be doing the same, but you can’t just blindly trust other people at the dog park. No one wants their dog to accidentally get hurt, and you’d hate to be “that” owner who let their dog run amok and injured another dog in the process. Be careful not to get yourself hurt, but don’t be afraid to jump in and break things up if need be. It’s really the same principle as when we humans get sick. If they’re exhibiting signs of illness or a contagious disease in any capacity, just skip the dog park. It’s better for you, better for your dog, and better for the other dogs and dog owners. Trust us. Learn More Etiquette From St. Petersburg’s Best Pet Market and Vet Clinic! 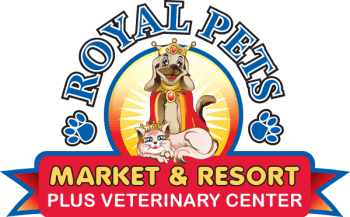 When it comes to one-stop-shops for your cat and dog, nothing beats Royal Pets Market & Resort. For all of your pet supply needs, pet vaccinations, dog boarding services, animal hospital needs, and so much more, visit our Pet Market near Tampa today!